Following the recent trends in the Bitcoin Casino industry, BitStarz Casino is now introducing altcoins into its platform to provide users with more ways to deposit and cash out their winnings. After mBit Casino introduced Bitcoin Cash along with 3 other altcoins and Bitcoin Games likewise adopted BCH, BitStarz is now stiffening up the competition with its modern platform and array of games. So, if you also hold some altcoins in other wallets and are considering increasing your balance, keep reading for more information on BitStarz’ latest update to learn what you can spend them on. After a considerable amount of input from its players, BitStarz Casino has finally decided to listen to the people and introduce alternative cryptocurrencies to the platform. 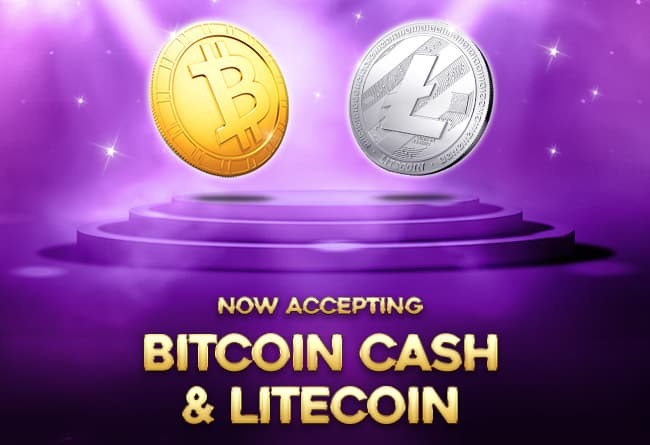 For now, the casino is only introducing Litecoin and Bitcoin Cash but there might be other altcoins to follow in the future as new trends form in the cryptocurrency community. The news was first shared on the BitStarz Blog where the casino also revealed its reason for introducing the cryptocurrencies. Bitcoin Cash, for example, was adopted due to the lower fees, speed of transaction, and the possibility of everyday use the cryptocurrency offers. After splitting from the Bitcoin blockchain on August 1st, 2017, the use and value of Bitcoin Cash has been growing thanks to the increased size of the cryptocurrency’s blocks (8 times bigger than Bitcoin) which is what makes its benefits possible. Reportedly, the offshoot cryptocurrency is also gearing up to compete with Visa and PayPal when it comes to transaction volumes, which is why BitStarz sees a future with it. 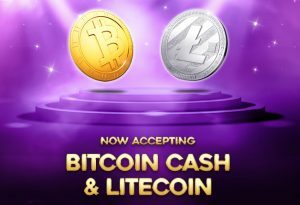 As for Litecoin, the casino says it’s the cryptocurrency’s rank as one of the top altcoins in the world that has convinced them to introduce it into their platform. Its benefits, as outlined by the casino, are its adaptive up-scaling and the fast payment confirmations it offers. Marketing Director of BitStarz, Srdjan Kapor, says that there can’t be a better timing for the casino to announce the acceptance of both coins as a deposit method and that BitStarz always strives to be a leading casino when it comes to flexibility and accommodating players. Only Some Games to be Made Available, for Now. BitStarz Casino has a massive game collection on its platform that counts over 1,000 different games from providers like Evolution, Habanero, NetEnt, Softswiss, Yggdrasil, and Thunderkick, among many others. However, to test out the waters, the new altcoins will first be introduced only through Softswiss titles, although the casino ensures players that more providers are coming soon, especially if the demand grows for BCH and LTC wagers. Apart from its games, BitStarz also shines when it comes to player promotions. Starting with a welcome package of four deposit bonuses and up to 5 BTC in rewards and continuing with weekly Free Spins and reload bonuses, the casino has plenty of extras to offer to its players. And if you’re into competitions, it also has the Table and Slot Wars, each offering wager-free cash prizes to those who climb into the tournament Leaderboard. To learn more about the competitions and see what’s available for Litecoin and Bitcoin Cash holders, you can visit BitStarz Casino.